Curated by the Civic Museums of Pavia and presented in partnership with the municipality of Pavia and the Italian Consulate of Philadelphia, this exhibit presents photographs of Pavia from the 19th to the 21st century by six Italian photographers, Fiorenzo Cantalupi, Guglielmo Chiolini, Antonio Manidi, Giuseppe Nazzari , Pierino Sacchi, and Ettore Valli. Founded by the Romans on the left bank of the Ticino River, Pavia was a center of art and culture for centuries. Several times capital city during the Middle Ages (8th – 13th century), Pavia preserves many historical and material traces of Romanesque and Gothic architecture, including the massive walls that encircle it, splendid churches with richly sculpted façades (San Michele, San Pietro in Ciel d’Oro), and the lofty towers that overlook the palazzi and populate the city skyline. The Visconti family took control of the city in the mid-1300s and built an elegant and richly decorated castle, the characteristic Covered Bridge over the Ticino, the majestic cathedral (designed in part by Leonardo da Vinci) and the Certosa, a masterpiece of Renaissance art. The origins of the university—one of the oldest and most prestigious in Europe– also date to that period (1361). 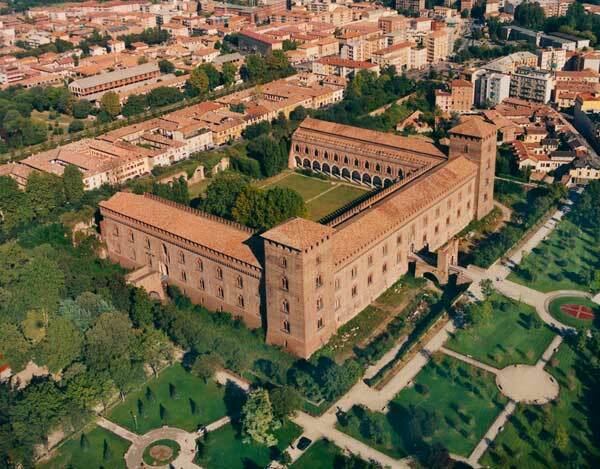 World renowned literati and scientists taught here in the 18th and 19th centuries, from the physicist Alessandro Volta, inventor of the battery, to the poet Ugo Foscolo, the naturalist Lazzaro Splallanzani and the neurologist Camillo Golgi. For the beauty of its monuments and the wealth of its educational tradition, Pavia is known as the “City of Knowledge”.